Welcome to Langton Motor Company Quality Used Cars in Doncaster, South Yorkshire. Used Cars Doncaster, Cars For Sale Doncaster, Car Dealer Doncaster. 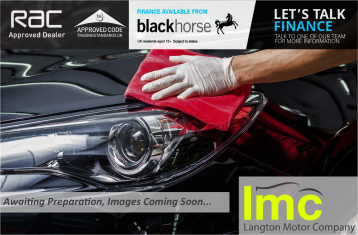 Langton Motor Company is a family owned business which has been established in Doncaster, South Yorkshire since 1988. Over time we have built a reputation for supplying handpicked, quality used cars to South Yorkshire and many other areas of the country. We have over 50 quality used cars in stock starting from just £1995 and ranging anywhere up to £39,995 with a variety of super minis, hatchbacks, family cars, 4x4’s and sports and prestige with all the major manufacturers models we are certain to have the perfect car for you. We offer a range of finance options to suit your individual requirements. We are in partnership with some of the most reputable lenders allowing us to offer the most competitive finance rates. We accept all part exchanges and offer an instant valuation on site with no hidden charges such as admin fees. We pride ourselves in being an RAC Approved Dealer meaning that all our cars undergo a strict 82-point pre-delivery check to meet the RAC Approved Preparation Standards. In order to demonstrate our quality the RAC audit our business regularly. All our retail cars are supplied with a minimum of 3 Months RAC Warranty and 12 Months Complimentary break down cover. RAC Warranty Packages are available from 6 to 24 Months at an affordable price for peace of mind when buying your new car. Situated in Adwick le Street, Doncaster we are a 5 minute drive from Junction 38 of the A1 (M) and conveniently a 2 minute walk from Adwick le Street Train Station. If you have any queries please don’t hesitate to call us on 01302 728111 to speak to one of our team. Why Choose Langton Motor Company?